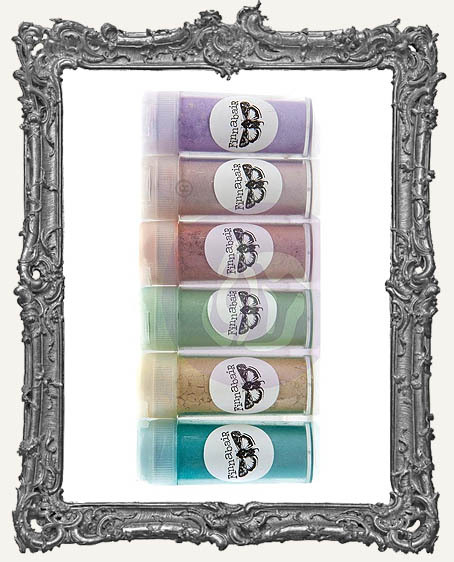 * A gorgeous shimmering powder that can be used in several ways. Combine with water to create a custom spray, sprinkle over Finnabair Art Basics (Modeling Paste, Soft Gel, 3D Gel, etc.) while still wet, mix directly with the Art Basics to create a custom mica paste, and more! * A great value and a great way to try several colors! These Mica powders come in smaller tubes and are easy to carry. Small and compact take them anywhere you go! * Details: 6 colors - 7grams/container. * Package Size (IN): 7.5x2.5x1. * Find more Finnabair goodies in the Prima section.